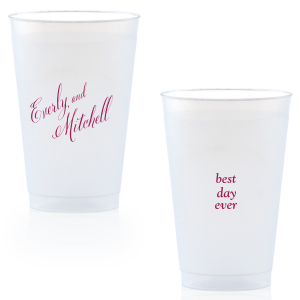 You've officially found the love of your life...and the ideal wedding cups! 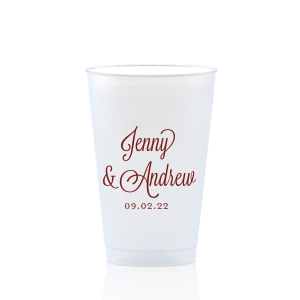 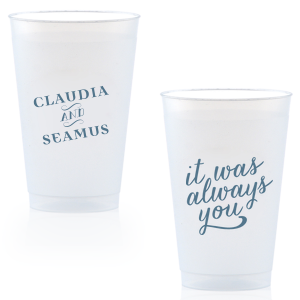 Personalize 14 oz frosted cups from For Your Party to serve beer, mixed drinks, soda or water at your wedding reception bar. 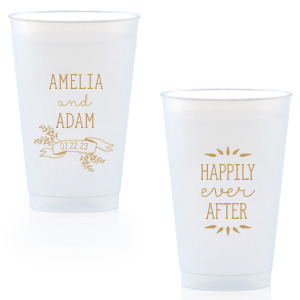 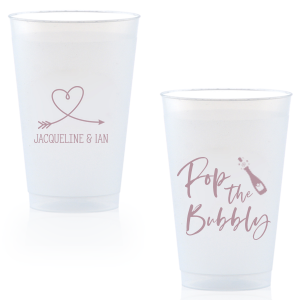 These top quality custom plastic cups are perfect when used as wedding cups, not only because they can be used for many different drinks, but also because they can be used as personalized wedding favors. 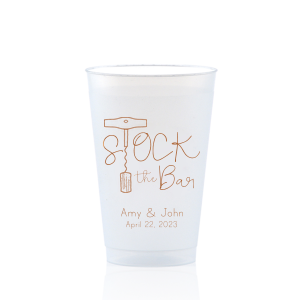 That's right, here's a great tip on how to save money when wedding planning! 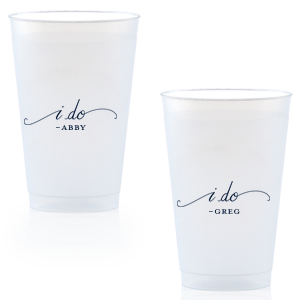 Double your reusable wedding cups as wedding favors. 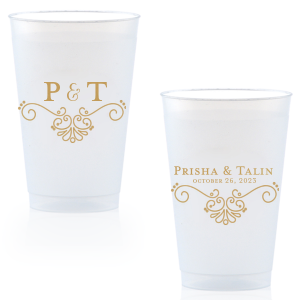 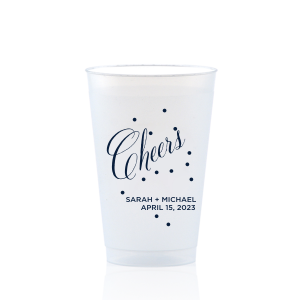 You can design your 14 oz frosted cups to coordinate with your wedding theme and even add a personalized monogram, your last name and wedding date for a personal touch. 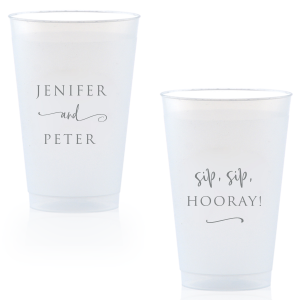 Dishwasher safe and BPA free, guests will use over and over, thinking of you every time. 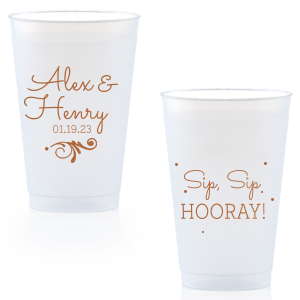 For Your Party has a styled library of 14 oz frost flex cup designs so that you can personalize your party cups in no time. 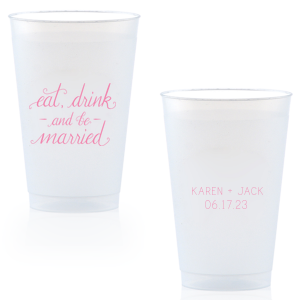 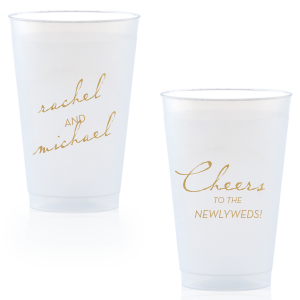 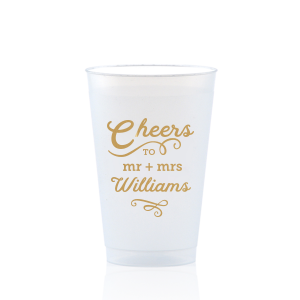 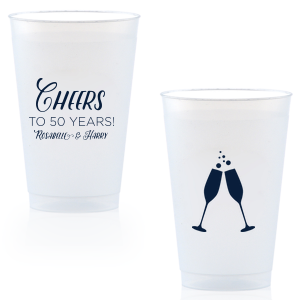 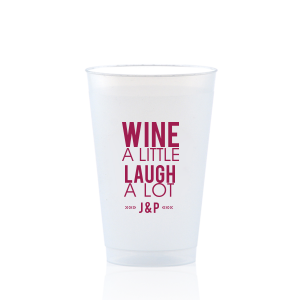 Choose from trendy drinking quotes like "Cheers Dears" cups or "Cheers to the bride and groom" cups. 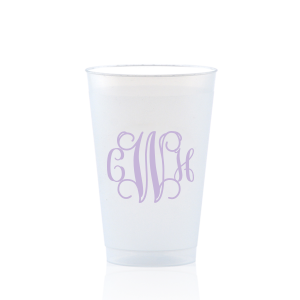 You can also start from scratch or upload your own art for a custom 14 oz frosted cup unique to you! 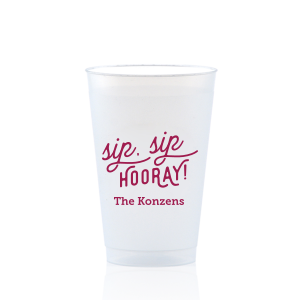 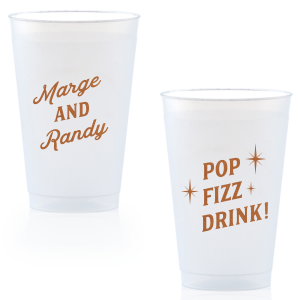 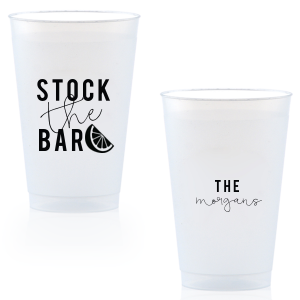 Since every good party has drinks, create personalized 14 oz plastic cups for any occasion! 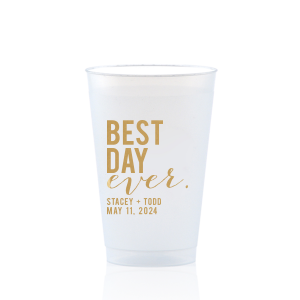 These 14 oz frost flex cups will also be a hit as graduation party cups, birthday party cups, bar/bat mitzvah cups, corporate cups and more. 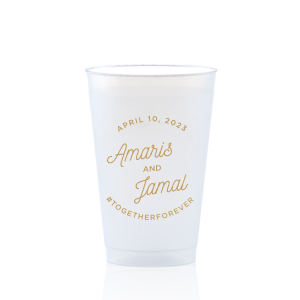 Add your personal touch today.